The Towed vehicle BIOFISH has been developed for the fast measurement of physical and chemical parameters with very high density of data in short times. It can be equipped with fast response sensors for CTD, dissolved oxygen, chlorophyll and others. The tow speed should be matched to the sensors but can be as high as 8 knots. Most field surveys are performed at an average of 3 knots. The standard depth capability is 60 meters. 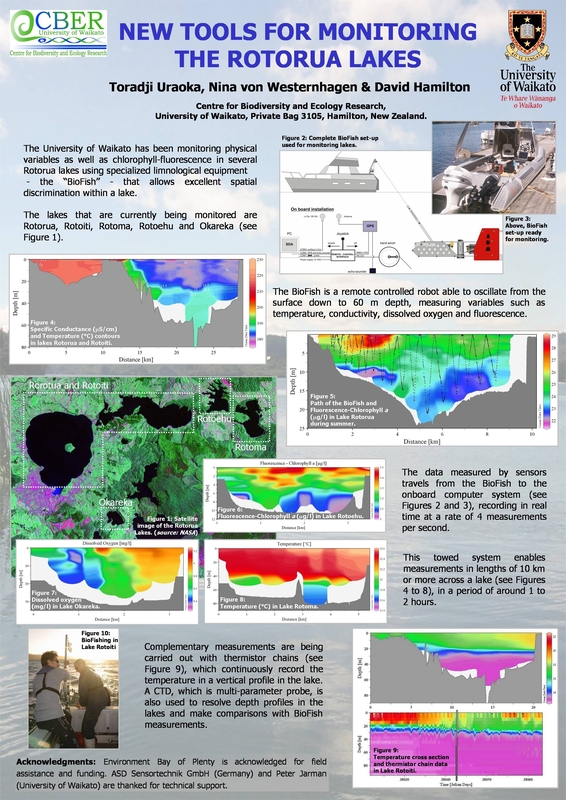 The Towed CTD chain is the response to the need for accurate two-dimensional data sets of temperature and salinity in the upper layer of the ocean down to 500 m. Up to 50 CTD data sets per second are available. 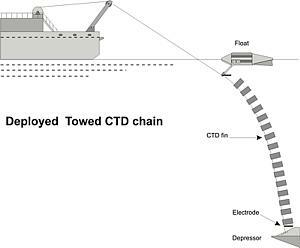 The Towed CTD chain system is to be deployed from a ship equipped with an oceanographic winch, and consists of an insulated steel cable on which several CTD-fins are mounted. At the lower part of the tow-cable, a depressor insures the right chain deployment at a speed of up to 8 knots. As surface unit a special interface working together with a PC and a software package provides the current supply for the CTD-fins, the bi-directional communication and the data acquisition.